Good Practice Guideline : control of animal welfare for cattle at slaughter - What definition for ritual slaughter ? Ms. Léger (ANSES, The National Agency for the safety of food, the environment and labor), Mr Hochereau (Sociologist, INRA, The National Institute for Food Research) and Mr Selmi (Sociologist, INRA) wished to speak with ASIDCOM to discuss few issues within a research project on animal slaughter. The study, as explained by Ms. Léger, aims to highlight the different issues and different points of view with respect to the slaughter of animals. Indeed, Ms. Léger, a veterinary, is working at ANSES in collaboration with INRA on a research project on collective construction, dissemination and implementation of good practices guideline of slaughter following the EU Regulation 1099/2009. She works in this project, with Mr. Hochereau and Mr. Selmi (of Muslim origin), who are sociologists, and a group of co-driver from ANSES and INRA close to the « animal welfare” working group. 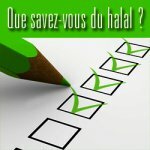 The importance of clarifying the relationship between ritual slaughter and halal term that is devoid of any legal definition in France. The new EU regulation (1099/2009) states in Article 13 that : "Member States shall encourage the development and dissemination of good practice guidelines to facilitate the implementation of this Regulation." A guideline has been produced with the financial participation of INTERBEV (Inter-Professional association of animals and meat), France AgriMer, ADIV meat performance (Agro-Industrial Technical Institute of the meat sectors) and Livestock Institute. The second version of this guideline (Version 2.1 - 18/06/2012) is available on the Internet. It is entitled "Guideline to good practices : control of animal welfare cattle to slaughter" or " GBP animal protection in cattle slaughterhouse . " Two coordinators from Livestock Institute six editors from the Livestock Institute and ADIV, and several lectors including representatives from Charal, Socopa , and other large groups of the meat industry have participated in the writing of this guideline. The National Agency for the safety of food, the environment and labor ( ANSES ) has received on September 29, 2012 from the Directorate General of Food ( DGAl ) a request for an opinion on assessment of the second version of the Guideline (Version 2.1 - 18/06/2012) . Thus an opinion and a collective expertise report were issued in July 2013. Thus, suggested monitoring sheets by the guideline dedicated to the case of ritual slaughter are entitled "(…) slaughter without stunning". Ritual slaughter seems indeed to be considered in these documents as a method that includes the use of certain stunning methods. 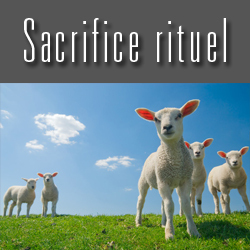 Moreover, no explicit definition of ritual slaughter is proposed in the Glossary of the guideline. By cons, a new technical term is introduced to describe the stunning after the ritual slaughter. It is the term « relief " ! This is inconsistent with the positions of the Jewish and Muslim representatives interviewed by the last MCI (joint fact-finding mission) of the Senate about the ritual slaughter. Similarly, the written ASIDCOM contribution showed that Muslim ritual slaughter, that of Abraham peace and greeting on him, excludes the use of all methods of stunning . It is indeed a religious slaughter. Moreover, following the various discussions with religious leaders, the report of the Senate MCI concluded that the Jewish and Muslim ritual slaughter excludes the use of stunning. 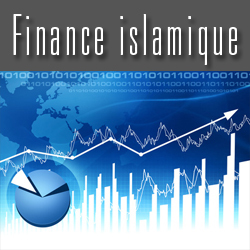 Is CFCM (Frensh Muslim Worship Council) really aware of this dangerous trend in the interpretation of regulatory texts ? 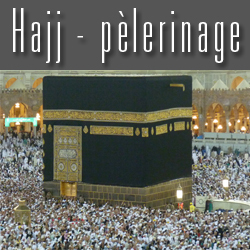 Does the new president of the CFCM and rector of the Paris Mosque account bless, in confidence, a new decree that specifies the types of stunning that are compatible with Muslim ritual slaughter ? ASIDCOM sent a letter to Stéphane Le Foll the Minister of Agriculture asking for clarification on the definition of ritual slaughter in the French regulation. The CFCM and Jewish representatives have received a copy of this letter.